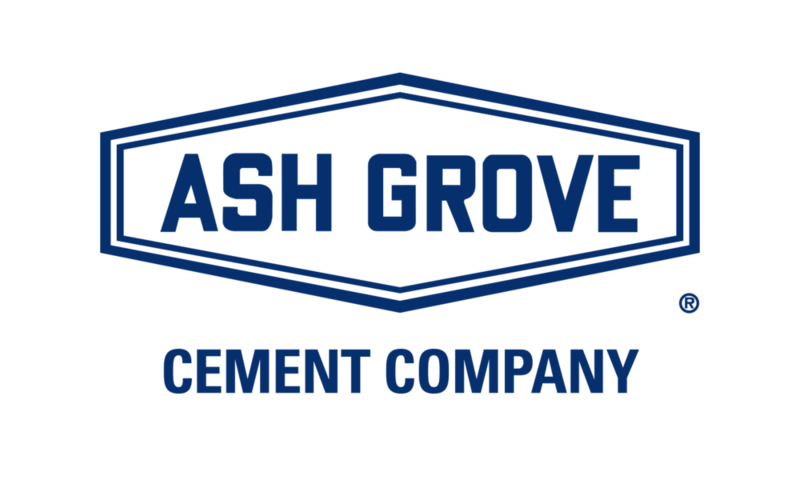 Ash Grove Resources supplies cement and cement kiln dust to the construction industry. Here's how this product is utilized in soil stabilization applications. Ash Grove cement and CKD is effective in reducing the moisture content of soils to levels suitable to achieve proper compaction. It can reduce the moisture content of soils by up to 30% and sometimes even more. Ash Grove cement and CKD can accomplish this in just a few hours. Besides the speed in which this material dries out the soils, there is an additional benefit -- once mixed with the soil and compacted, the mixed product is more resistant to moisture penetration or disturbances during the duration of the project's construction phase. Using Ash Grove cement and CKD to dry out wet soils can be a more economical and time-efficient solution to a wet soil. Buildings, structures, highways, bridges - anything that is constructed - must be placed on a stable, dependable soil base. In order to achieve an acceptable base, soils must be compacted to the specified densities. For this to occur, the moisture content of the soils must be within a specific range. If a soil has too much moisture, it cannot be compacted to the specified density. Consequently, there are two choices: 1) All of the soil can be replaced with other materials, or 2) The soil must be dried out. Drying out can be accomplished by either aerating the soil or by adding a drying agent to the soil. When the drying agent method is used, the construction industry gains several advantages. By using Ash Grove cement and CKD as the drying agent, the process becomes more time efficient and it can be less expensive than soil replacement or other methods. While the primary goal of using the drying agent is to reduce the moisture content to facilitate final compaction of the soil, a degree of stabilization also occurs validating the process. There are two categories of soil stabilization. One is mechanical stabilization. This is achieved by compacting the soil to develop the desired engineering properties. The other is a chemical stabilization, which involves the addition of a substance that reacts with the soil to achieve the desired stabilization or improvement. For this chemical reaction to occur, it requires a cementitious product that alters the soil to achieve the desired changes in engineering properties. Ash Grove cement and CKD produces cementitious compounds that bind the soil particles and thereby achieve the desired stabilization. Ash Grove cement and CKD has certain amounts of free lime (CaO) available to react with clay minerals to further stabilize or alter the soil properties. Ash Grove cement and CKD presents some good news for the construction industry treatment of expansive clay soils. There have been two commonly used solutions for the industry when faced with expansive clay soils. The soils can be replaced with materials having a low shrink-swell potential or the soil can be treated with lime. Lime stabilizes expansive soils by means of a chemical alteration of the clay minerals in the soil as evidenced by the reduction in Atterberg limits. Ash Grove cement and CKD is also effective in stabilizing expansive clays. However, since only limited amounts of free lime are available, the stabilization is achieved by physically binding the soil particles thereby restricting the expansion and contraction of such soils to acceptable limits. This product can be used to reduce the shrink/swell potential in expansive clay soils. There are a number of additional benefits to mixing Ash Grove cement and CKD in expansive clay soils. One is that the soil's strength is actually increased, providing a more stable work base for construction. Another is the reduced sensitivity to additional moisture. Ash Grove cement and CKD gives the construction industry alternative solutions to a wide range of issues that occur on construction projects. No longer must these clay soils be replaced with non-expansive materials. No longer is lime treatment the only chemical stabilization alternative to working with a clay soil. Using Ash Grove cement and CKD to stabilize this type of soil is generally a more economical and time-efficient construction procedure. Stabilization of pavement sub-grade with Ash Grove cement and CKD can provide a significant increase in strength within the stabilized section. The stabilization can increase CBR (California Bearing Ratio) values from 3 to 5 for the untreated soils, to values of 20 to 30 for the stabilized section. The stabilized section becomes a sub-base for the concrete or asphalt pavement section and allows for a reduction in thickness of the more expensive components of the pavement. Strict control of mixing and compaction procedures is required to achieve full potential strength within the stabilized section. Moisture content of the Ash Grove cement and CKD soil mixture at time of compaction greatly influences the strengths achieved and must be within the optimum range that is established through laboratory tests. Stabilization with Ash Grove cement and CKD can be a cost-effective solution for stabilizing even poor-quality aggregates. In this application, the Ash Grove cement and CKD serves as a cementing material increasing the strength of compacted sections. With today's dwindling supply of high-quality aggregates, changing environmental regulations and rising transportation costs, stabilization with Ash Grove cement and CKD can provide a more economical solution. The aggregate when fully cemented by the CKD has greater strength while significantly improving durability. Specific application specifications and timely mixing and compaction methods are required to achieve the best success with this application. Many state departments of transportation (DOTs) and other entities are charged with rehabilitating existing asphalt pavements, whether streets or parking lots. With limited funds and unlimited needs, recycling of existing pavements is an economical choice. Recycling of pavements can be accomplished by pulverizing existing hot mix pavements and granular bases and then adding Ash Grove cement and CKD to stabilize the materials and thus producing an acceptably stabilized base section. Then, a new hot mix wearing surface is put down on top of it. Test sections have shown that the recycling process can provide a stabilized section having twice the structural capacity of a crushed aggregate base. Due to the higher structural capacity of the recycled section, the thickness of the wearing surface can be reduced, proving an even greater project savings.